If you’ve ever browsed for engine oil at your local repair shop, you may have seen those extra-expensive containers of synthetic oil and wondered what good they were for. Well, you’ve come to the right place. Below, we’ll lay out the benefits of synthetic oil as well as its detriments, though you’ll find there aren’t many of the latter. 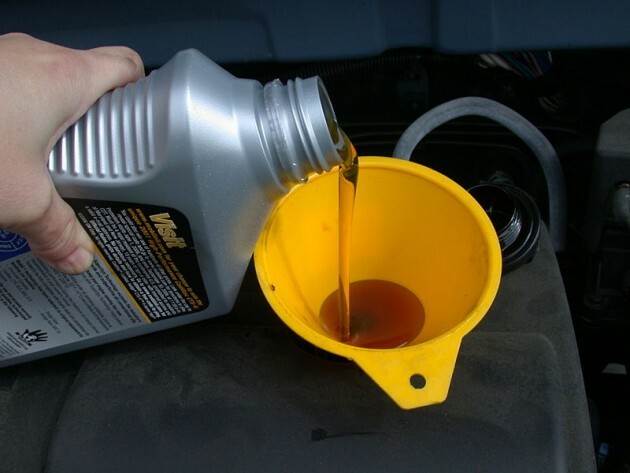 First though, we need to understand what makes synthetic oil different from regular motor oil. Conventional lubricants are made from crude oil extracted out of the ground, which are then extensively refined to remove impurities. Throw in some chemicals and voilà, motor oil. It’s obviously more complicated than that, but now you have the general idea. On the other hand, synthetic oils are usually manmade from any number of materials, such as natural gas or alcohol. Unlike conventional oil, they’re pure from the get-go and don’t require purging of undesirable contaminants; and because they’re chemically supervised right from the start, they come with a number of benefits. Synthetics are slicker than regular oil, allowing for smoother and cooler engine operation. That translates into more horsepower and better mileage. The downside of that is that if you have an engine leak, even more oil will leak out, but that’s really only a problem that exists when you already have another problem. They also flow better in cold weather, making it easier for the engine to start in the winter and offering better protection. They resist viscosity changes at extremely high temperatures that would otherwise cause molecules to break down or evaporate in normal oil. The major downside is that buying synthetic oil can cost almost twice as much as regular oil. But because synthetics also let you wait longer before oil changes (as long as 7,000 miles or even 25,000 miles according to some), you may not even notice the price difference in the long run.